I recently enjoyed a wonderful Mayfair day out, starting with a beautiful gourmet lunch experience at Park Chinois and ending with an afternoon stroll around the Charles I: King and Collector exhibition at the Royal Academy. This experience is fit for royalty and is available to book from 27th January to 15th April 2018. Ideal for family and friendship groups or for a cultural romantic date, this experience is designed to blow your mind. Park Chinois is a suitably grand restaurant, from the exquisite bathroom taps (I won't ruin the surprise), right down to the impeccable live flowers swimming in your gin cocktail. 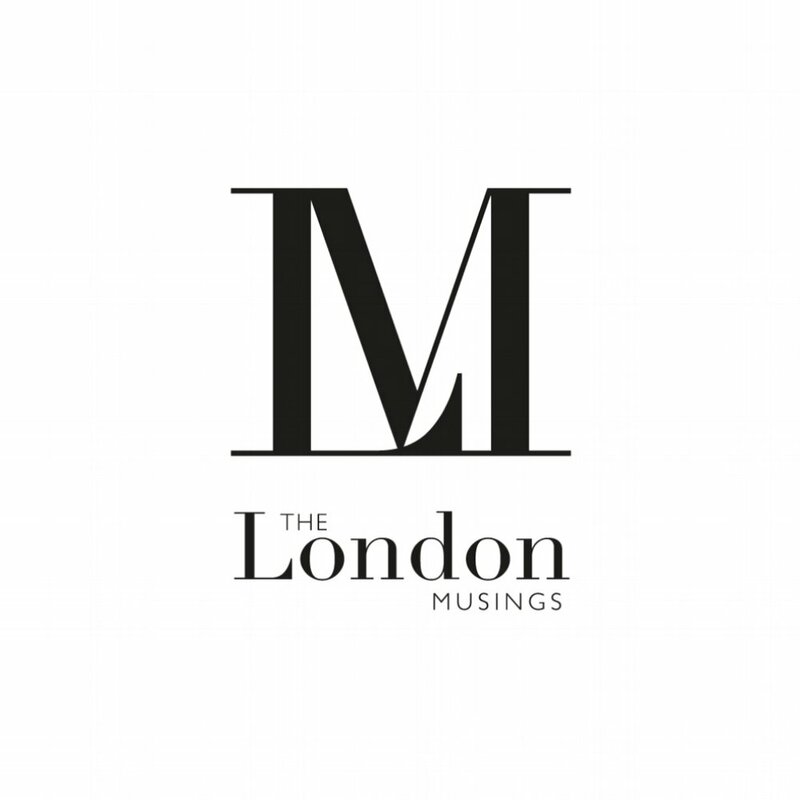 This collaborative lunch and gallery offering is a match made in Mayfair heaven - an absolute must for culture vultures and those looking to brush up on their fine dining and art conversational skills. I mean, if you're not into art at all, you've got to start somewhere right? This is the perfect opportunity to be immersed. 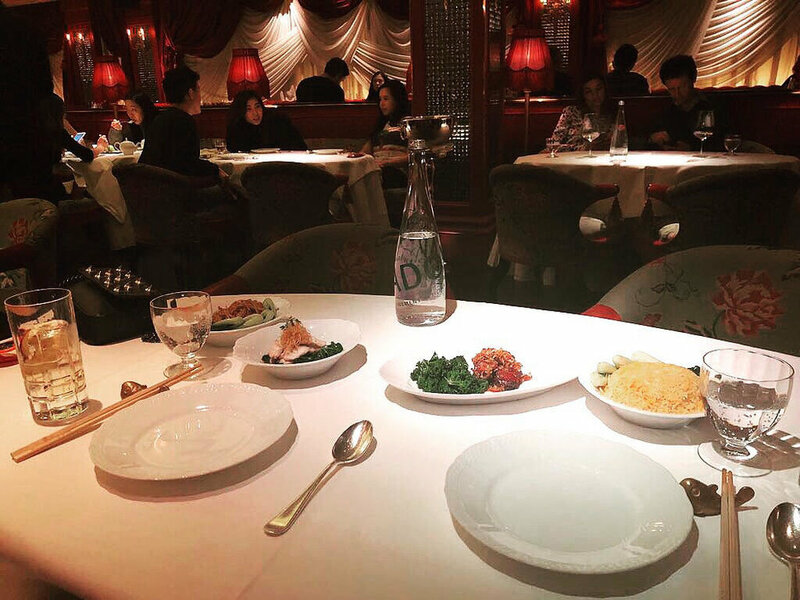 Part I: Park Chinois Unveils the Best Dim Sum and Chinese Cuisine in Mayfair! Park Chinois on Berkeley Street is a deeply atmospheric and mood-lit haven, rich in flavour and colour and more than capable of distracting you from the world outside. I took a good friend with me and we got to work on the impeccable three course menu, ordering vegetarian dim sum with wasabi prawns to start. I instantly fell in love with the prawns and was so distracted with how excellent they were that I did not hear a word of what my companion was saying. For this, I cannot and will not apologise. 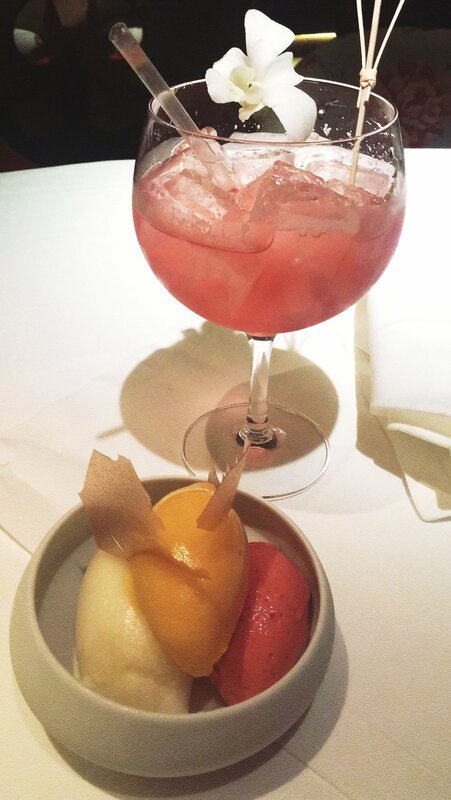 We ordered some vibrant cocktails to celebrate the weekend and thoroughly recommend that you request this menu if gin is your best friend. The main courses consisted of a grilled XO black cod with king soya and a poached wild sea bass fillet in ginger and soya (both served with Chinese vegetables and egg fried rice). We are food sharers, which is great, but I do feel as though Park Chinois really encourages a sharing experience. Your table will be filled with lots of little plates during this meal and I can guarantee you that after a couple of cocktails, you will forget who ordered what and be forced to stick your chopsticks into every dish. For dessert we ordered a beautiful passion fruit and strawberry sorbet - my absolute favourite and a very good way to abolish the wild effects of the beloved wasabi. The RA's landmark exhibition 'Charles I: King and Collector', in partnership with the Royal Collection Trust, pays homage to a monarch who acquired masterpieces of unprecedented quality and quantity. This show-stopping exhibition delves into the mind of Charles I, who I suspect would have been partial to many a selfie had he been alive today. From Raphael and Van Dyck to Rubens and Rembrandt, Charles's love for art and competitive collecting is evident as you walk between the rooms of the exhibition. These majestic paintings offer a valuable insight into the lives of Charles and his Queen, Henrietta Maria: of their love for each other and their children, Italian art, Christian works and in stark contrast, overtly sexual pieces. As you wander around the exhibition, you will become aware that this is not just any presentation of artworks. Charles I: King and Collector reunites the greatest masterpieces of this magnificent collection for the first time. Celebrating its breadth and grandeur, the exhibition includes over 100 works of art, ranging from classical sculptures to 17th-century paintings, and from exquisite miniatures to monumental tapestries. To book this experience: Please click here.